Successfully Added 2.5-Inch IDE Media Player Portable Backup Enclosure to your Shopping Cart. USB 2.0 Mini Hard Drive Media Player, perfect for portable IDE storage with the added functionality of a media player for your MP3 or video files. 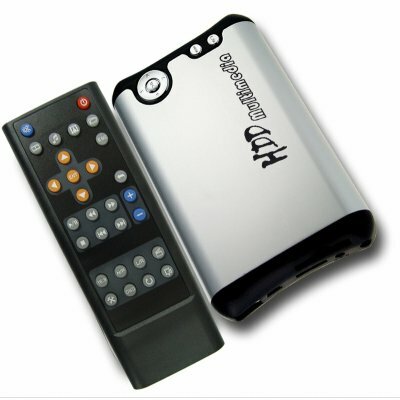 This wholesale deal HHD Media player will not only store up to 160GB of you files and digital media, but will connect to your stereo or TV to play videos, music, and digital photos with incredible quality. Other bonus features include a SD/MMC card reader for quick transfer of files to the hard disk, a FM transmitter for sending audio directly to FM tuners, and YPbPr and S-Video OUT for connecting to high end televisions. Super price along with great features make this a HDD multimedia player worth taking a look at and adding to your catalogue or having for your won personal use.